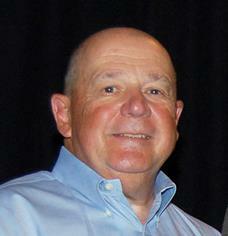 Fred Iantorno is a founding member of CIECA and currently is its Executive Director. Fred holds a Masters Degree from Saint Louis University. He has spent over 36 years in the Information Technology field with the majority of the time to the creation and implementation of standards across the collision repair industry. Prior to his current position, he was the founding member of the Property & Casualty Insurance group that establishes EDI standards under ANSI (American National Standards Institute); was the Task Group's Co-Chair for 10 years; Served 4 years as the Vice Chair of X12N the Insurance Subcommittee including P&C, Health Care, Life, and Reinsurance. He was, also, a member of the DISA (Data Interchange Standards Association) Board of Directors for 8 years where he served in various capacities as Vice Chairman, Corporate Secretary, and Chairman of the Finance Committee.